REGISTRATION for our WINTER League 2019 is now OPEN! This is a great way for your little one to show off the skills and confidence they've been developing in our school program. 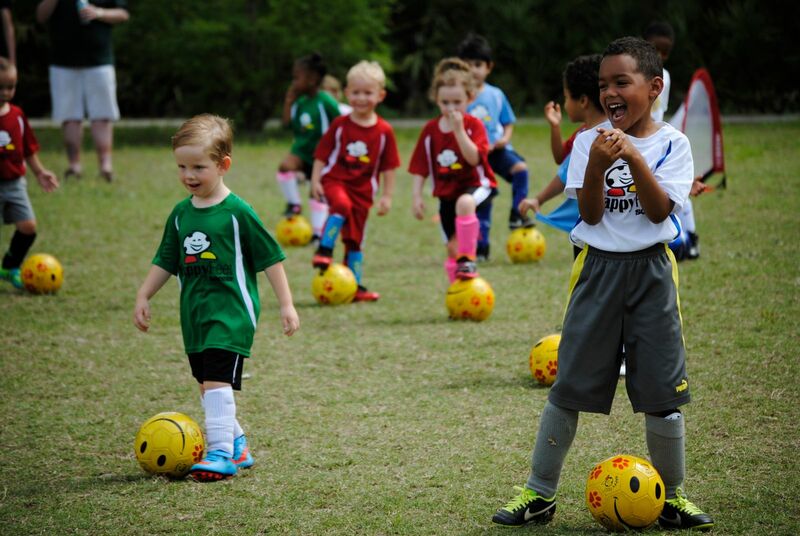 The HAPPYFEET LEAGUEis an excellent opportunity to see your little one further develop and showcase his/her HappyFeet soccer skills. Our league curriculum maximizes fun and friendship to ensure your child always wants to come back! We have found that parents & grandparents enjoy the league program as much as the kid. All of our Sessions are divided into four categories; Little Toe's, Big Toe's, HappyFeet and Advanced HappyFeet. LITTLE TOES (2's) Each Session is a 30 minute HappyFeet Soccer class. During the class your child will enjoy many dribbling and ball striking touches to prepare them for our "Mommy, Daddy, and Me Goal Scoring spree". The League Goal Scoring follows the HappyFeet Class and Parents are able to stay with their little ones until the ned . BIG TOE'S (3's) Each League game is preceded by a 30 minute HappyFeet Soccer class. During the HappyFeet Class your child will enjoy many dribbling and ball striking touches to prepare them for the league game. The League Game immediately follows the HappyFeet Class and teaches fun game fundamentals and objectives. The League Game is 20 minutes in length and Players only. HAPPYFEET (4's & 5's) & ADVANCED HAPPYFEET (5's & 6's) Each league game is preceded by a 20-minute HappyFeet "Mini Class". During the "Mini Class" your child will enjoy many dribbling and ball striking touches to prepare them for the league game. The league game immediately follows the "Mini Class" and is 30 minutes in length. DEADLINE for REGISTRATION is January 24th, 2019!!! It's guaranteed to be a blast! We look forward to seeing you this season!! !